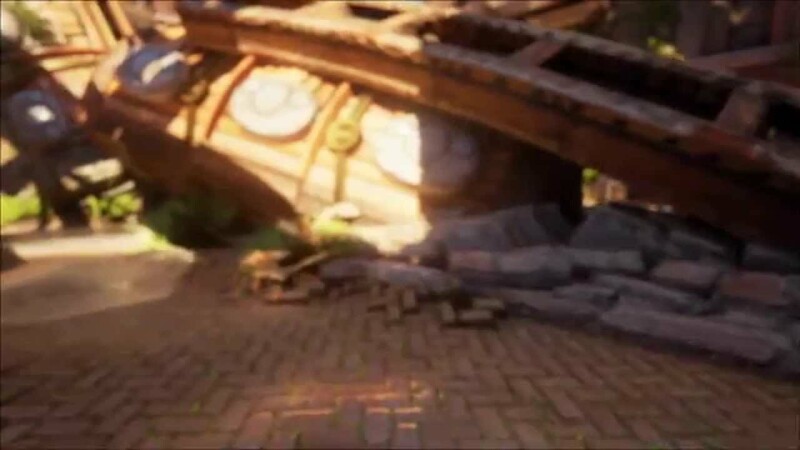 I started a small project converting my Personal Old Environment work I did using Unreal3 (UDK) to Unreal 4. I was curious on how the stylize with strong color but believable environment would look like using Physical Based Shaders and HDR Lighting. Hence I started the project. Being a camera nerd, I uses blueprint to modify Camera Actor Class to have effective focal length FOV system and true dof system just like real camera. In any case here is the video an some screenshots. I personally think the effort worth the visual upgrade, but I'll let you guys decide whether it's worth the upgrade or not. Aparently Vimeo have better compression compared to Youtube despite being lower res, but their color management in their online encoder surprised me. It seems that they altered the color space during the upload (noticeable on the red car). Maybe my Video wasn't considered as sRGB and the reconversion to sRGB causes the red to look orange. Do you by any chance work at pixar? It is beautiful! But i must say i'm a bit disappointed that there were no trains in motion. Gorgeous! That's a beautifully put together scene. You may want to enhance it with a couple of small particle effects like leaves blowing from trees and unsettled dust near the accident site. That's amazing, good job.. makes me want to learn more, and faster. Too bad I can't find any courses to take where I live. Beautiful Scene! Every shot was done to perfection. First, I was interested in almost 1 to 1 comparison between my UE3 and UE4 with the scene (Perf wise on top of the look). @JohnF30: No I didn't work in Pixar, but thank you I take that as a compliment I work in game industry. Real-Time FTW! @AzamKhan: That particular scene does have Indirect shadows (baked in) although on retrospect I should have frame it better. As for DOF, it's one of my scene where I hack the Near DOF (so it's not True Focus DOF) and struggling with BP+Matinee Combo. I'll explain it on the technical breakdown in the future. @Alexander Paschall: You're absolutely correct on the PFX recommendation, it could be very cool with vector fielded leaves fx and lit floating dust. @Cruward: There's a lot of youtube video to helpout with tutorial and Epic did an awesome job in providing help for Unreal4. I'll post a technical breakdown sometime in the future that might help out some people in the community. Very cool. Reminds me a lot of the Bioshock Infinite art style/architecture. That's exactly what it reminded me of. I don't know why. Maybe the lighting? I too would recommend adding some movement to the leaves. Looks very nice otherwise!